Each year, thousands of people move to a new country, taking their pets with them. This process is a little more complicated than if you're moving from state to state, so make sure you allow enough time for research and preparation. To find out about possible quarantine requirements and other restrictions, contact the country's consulate and make sure you ask the appropriate questions. Don't wait for the move to become a reality before you research your move, as some countries require vaccinations up to six months prior to departure. For those heading to the UK or Europe, the Pet Travel Scheme (PETS) allows pets from certain countries to enter the UK and Europe without quarantine. There are steps you must take before your pet is allowed in. Are there any restrictions for importing pets into your country? If my pet has to be quarantined, where will my pet be kept and do I need to reserve a space? How long will my pet need to be quarantined? What documents will I need when my pet arrives? Are there any breed restrictions? Which vaccinations will my pet need? How will my pet clear customs? How long can it take for my pet to clear customs? Will there be any import fees? Once you know your new country's rules regarding importing of animals, contact your vet to discuss a vaccine schedule, getting copies of your pet's records and the best way to make your pet comfortable on their journey. When will my pet need to have its vaccinations? What other vaccinations do you recommend to protect my pet in its new country? How long can my pet safely stay in its carrier? Should I give my pet sedatives? If my pet needs to be quarantined, what should I ask the facility where my pet will be staying? What other documents might I need? Is my pet healthy enough to endure this trip? What is the best way to transport my pet? Should I feed my pet prior to traveling? What about water? Should I put food and water in the carrier along with my pet? Does my pet need a vet check-up prior to traveling? Do you have any recommendations for vets in my new country? If you plan to book your pet with an air carrier company, please be aware that most airlines will insist you use an IATA (International Air Transport Association) approved carrier to transport your pet. An IATA approved carrier requirements are based on a species needs and animal size. The IATA Live Animals Regulations describe minimum standards for carrier construction for all types of animals, ranging from insects to elephants. Also, space for your animal should be booked a minimum of 48 hours in advance. 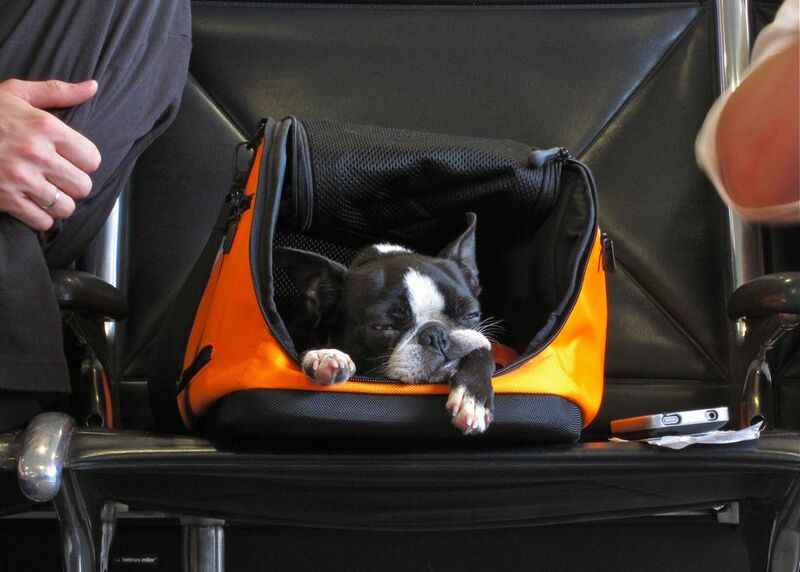 Most airlines have restrictions on the number of animals they will carry per flight. Only small dogs and cats can travel in the cabin with you or if the airline will not allow this due to space limitations, your pet will be sent as special baggage in a heated and ventilated hold. The hold provides a quiet and darkened area, which will be less stressful than a noisy cabin. I prefer to have my pet travel in the hold instead of in the baggage area. Do you have space available for the flight I need? If there isn't any room in the hold, what is the temperature in the cargo/baggage area? Note: When booking our pets with an airline company, I never thought to ask this question, until my vet mentioned it. I immediately called the airlines and found out that the baggage area where our pets would be was not heated, and since they were flying in February from San Francisco to Minneapolis to Toronto, they probably would not have survived. Make sure you ask! Will you provide appropriate stickers and labels for the pet carrier? What if the flight is rerouted? What happens to my pet? Where do I go to check in my pet? How far in advance does my pet need to be at the airport? What is the cost to fly my pet? Which papers should accompany my pet? Which papers do I bring to pick up my pet? Will my pet check through customs here or upon arrival? Do you have any weight restrictions? After you've done your research, have taken your pet to the vet, purchased your kennel, now it's time to get your pet ready. Take a photo of your pet and get three copies printed. Attach one to the carrier, keep one with you when you travel and make sure if you're not the one to pick up your pet that the person meeting your pet has a copy. This is just in case the airline loses your pet. Buy a collar and attach identification tags; one with your old contact information and one with your new information. Make sure the collars are on securely; not too tight, but not too loose that they could get caught.